If Hellenization is a process, it must have at one extreme the purely Greek culture, religion and all. At the other extreme was a stubborn adherence to the rules imposed by Ezra. Palestinian Jews, “the Hebrews”, had reason for concern when they saw their temple taken over by “the Greeks”—Hellenized Jews. It was only a question of time before Yehouah became Zeus, and surely that is the point about the “Abomination of Desolation”. It is simplistic to say that “Jews were unique and did not lose their identity”. The early success of Christianity was precisely because it appealed to those Hellenized Jews that were crossing the boundary from Judaism. We do not have to conjecture about what the early Israelite religion consisted of, and we need not depend upon the tendentious descriptions of the bible. It is described in documents (A E Cowley, Aramaic Papyri of the Fifth Century BC ) from the Jewish colony at Elephantine, an island in the Nile below the First Cataract—now submerged by the Aswan Dam—dated towards the end of the fifth century BC, just at the time the Persians were setting up their temple state in Yehud. The Jews of that colony happily worshipped five deities, including Yah’s consort, Anath. The Persians eliminated the Israelites’ goddess and their gods, and recognized Yah (or Yao), a god known to the Canaanites, as the patron god of their temple. 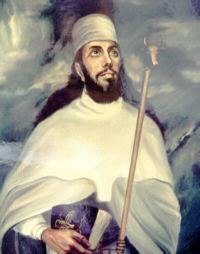 The Persians sought to convert Yehouah from a tribal deity, who fought for his people and overcame the gods of other nations, into the unique and supreme god of the universe. But they had just got the new god, Yehouah, accepted when their empire collapsed, and faced with Greek gods, some Jews began to reclaim Yehouah as a tribal god. In Palestine, the Israelites adopted Canaanite or Old Phoenician, otherwise called Hebrew, the language of Abarnahara, although the Jews called it correctly “the language of Canaan.” Aramaic was already the commercial and diplomatic language of the ancient near east in Assyrian times, whence it was often called Assyrian, and also became the administrative language during the Persian period. The Jews therefore used it, and Hebrew became a holy language known only to holy men. The Hellenistic Age extends from the conquests of Alexander to the defeat of Bar Kosiba. After Alexander’s death, Alexander’s Greek generals had carved out two main kingdoms from his empire, the Ptolemies took Egypt and the Seleucids Syria and the east. The Jews of Palestine were caught up in the rivalry between the Ptolemaic and Seleucid kingdoms. Palestine itself was a disputed territory, initially in the possession of the Ptolemies before 200 BC but claimed by the Seleucids and held by them until the Maccabaean revolution succeeded about 140 BC. Under these large Greek kingdoms, Asia Minor, Egypt, the Levant, Syria and Mesopotamia all were subject to the Hellenistic world. All Eastern peoples, the Jews included, were a part of this world. “Greek” ceased to be just an ethnic description and became one of culture. Hellenization concerned many different areas of life: language, custom, religion, commerce, architecture, dress, government, literary and philosophical ideals. Only the life of the poor peasant in the Near East did not alter—nor did it much until the nineteenth century. Under the Greeks, they continued to work the land, as they had under the Persians and Assyrians. Only the recipient of their rents and taxes had changed. International trade was a feature of the Hellenistic world. Even in the Persian period, widely travelled merchants, soldiers and administrators often knew Greek. Trade with the Aegean had already brought Greek influence to the coasts of the Levant before Alexander. In the century after Alexander’s death, things gradually changed. Everyone above the peasantry imitated the Greeks, attending athletic contests and games. The Greeks built cities that were the focus of a great and rational culture. The conquered populations hastened to learn as much Greek as they could. Aramaic declined in these Hellenistic times to be the dialect of the most ignorant classes. Alexander’s successors were Greeks who became intent on spreading Greek culture. Pride of place in society was to go to “Greeks”, at first Greek settlers but within a few generations, mixed races and the wealthier conquered people. Alexander had encouraged his men to marry women of the Persian aristocracy. Initially, Greek ideals were preserved in the Greek foundations, with citizenship and membership of the gymnasium the privileges of the Greek settlers. Orientals might live in the Greek cities but they were not citizens. Alexander… and the first Ptolemies and Seleucids… treated their Jewish subjects with much benevolence. After Alexander, the language of trade and administration was Greek. Greek became a lingua franca in many parts of the Hellenistic East, as Aramaic had been under the Assyrian, neo-Babylonian and Achaemenid empires. The Ptolemaic and Seleucid kings appointed local officers, who had Greek secretaries. Such favoured natives gave their children a Greek education, and early in the Greek period, educated Orientals spoke Greek, read the classics, dressed as Greeks and were called Greeks. Manetho in Egypt and Berosus in Babylon were writing treatises in Greek in the early part of the 3rd century, and its direct influence on the Jews can be deduced from a variety of sources. Palestine was an important crossroads in the trade between north and south and between Egypt and Arabia. In the Tobiad romance, Joseph and later his son Hyrcanus (second half of the 3rd century) dealt with the Ptolemaic court on an equal footing (Josephus, Ant 12:4:2-11). They apparently did not need an interpreter, nor were they considered inferior. Long distance merchants will have used Greek for dealing with officialdom and to be understood in different countries, but local trade would be negotiated in Aramaic rather than Greek. An ostracon in Aramaic from about the middle of the 3rd century BC already contains two Greek words. Another ostracon from Khirbet el-Kom in the Idumean area, dated about 275 BC, is a bilingual in both Greek and Aramaic. Yet, only one formal bilingual inscription is known in the whole of Syria—that from Tel Dan about 200 BC. The widespread use of Greek cannot be doubted but to the time of the Maccabees it was confined to the educated upper-class. The number of Jews outside the Greek cities fluent in Greek was probably small, though a greater number must have had a smattering of Greek. A few hundred years later, at the time of Jesus, Greek would have been more common, but the Hasmonaean influence would have polarized society so that some were thoroughly anti-Greek and others favoured it as more modern and progressive. The Jewish scriptures, originally written in Hebrew and Aramaic, had to be translated into Greek, including books and parts of books that are omitted in most Christian bibles, for the benefit of Jews who could no longer read Aramaic. The Greek translation was the Septuagint, which takes its name from a letter concocted in the name of Aristeas, which claimed that seventy-two learned rabbis independently translated the Jewish scriptures into Greek copies. Yehouah saw to it that the seventy-two independent translations were identical, even to the smallest jot or tittle. Judaism and Hellenism were not mutually exclusive at first. The Jews of Palestine did not stay aloof from Greek culture. From the middle of the third century BC Judaism was “Hellenistic Judaism”. Under the Assyrians, the Persians and then the Greeks, the Jews had shown themselves loyal supporters of the colonial rulers. Though some Jews came to rebel against the Seleucid Greeks, they had previously shown no strong resistance to Hellenistic culture, and after a few generations of Greek occupation, it is a moot point whether many could clearly distinguish between what was Greek and what was Jewish. The Greeks were good administrators and Ptolemaic and later Seleucid officialdom reached to the lowest levels of Jewish society. Every village was supervised by the Greek administration and had its officials seeing that taxes were paid. Although Aramaic speakers were delegated as supervisors at the lower levels, Greeks and Greek-speaking natives were preferred, especially at the higher levels. Greek education had its influence on Jews and Jewish education. Greek influence on Jewish literature is documented as early as Alexander’s conquest and can be illustrated from literature in Hebrew and Aramaic as well as those works composed directly in Greek. Evidence of the influence of Greek philosophy occurs in such Jewish circles as Qumran and writings such as 1 Enoch . Against this, critics say that almost no information about education in Judaea at this time exists much less education in Greek, and Greek influence on literature in Hebrew and Aramaic is less clear than it plainly is in Greek writing. Apparent Greek parallels and influence cannot be shown not to be from other possible sources. Some Jews had a reasonable knowledge of Greek and many more had a smattering, but the actual number of Jews who could be considered to have spoken Greek in Palestine was probably not many—the evidence is not conclusive for a pervasive use of Greek throughout Jewish society in Palestine. Was Galilee bilingual? Evidently not, if it means that Greek was widely used everywhere. Martin Hengel thinks that because it was completely encircled by Hellenized cities, it will have been largely bilingual. But, others find almost no evidence of Greek in Upper Galilee. Doubtless Greek had its place in Galilee but was not dominant. Aramaic was the colloquial language, as it was in most of the Near East. Royal inscriptions and many other sorts of documents were issued in Greek, but no law imposed it as the sole language of administration. Critics say there is not much evidence of Hellenization before 175 BC in Palestine and in the Diaspora. Hellenization took longer than historians have allowed and only reached the lowest evels of Jewish society under the Romans. Fergus Millar concludes that “the evidence shows how un-Greek in structure, customs, observance, literary culture, language and historical outlook the Jewish community had remained down to the earlier second century, and how basic to it the rules imposed by Ezra and Nehemiah had remained.” Millar however regards a Hellenized Jew as not being Jewish and uses extreme interpretations such as that the Qumranites were not Essenes. For Millar, Jews would not attend the amphitheaters, gymnasia and sports stadia set up by the Greeks and Hellenized rulers like Herod. The Hellenized countries were neither purely Greek nor purely Oriental. Some Orientals, including Jews, might be more Hellenized than others. The changes in Near Eastern culture instituted by the conquests of Alexander had not reached an equilibrium—the process was still evolving. Some places were strongly Greek, some remained strongly Oriental, and others were mixtures of various degrees. Anyone could be said to be “Hellenized” if they accepted some Greek ideals and customs. Jews had kept intact aspects of their own culture while progressively adopting the Greek culture. Hellenized Jews began saying that sons of Abraham had been companions of Hercules, and descendants of Isaac had sailed with the Argonauts. Later, they identified Moses with Musaeus, the mythical son of Orpheus, who putatively lived long before Homer, wrote didactic verse and hymns, and, being a divinely gifted seer, like Tiresias, left a collection of oracular utterances. The link is not as absurd as it first looks since the name Orpheus might itself be a version of Ahuramazda, and have meant originally the same thing, “Shining Lord”. There were educated and enlightened Jews who saw that they had to jettison the Persian cult, and to adopt at least the trappings of Greek civilization. That is what incensed the Maccabees. The process of Hellenization by adoption had reached the stage where strongly traditional Jews felt threatened. The reactions against Hellenization were complex and diverse, but the Jews were by no means the only people to fight it. Anti-Hellenism spread among Near Eastern peoples, including armed rebellion. The Maccabees were unusual in succeeding. The Seleucid kings were not as oppressive as Maccabaean propaganda makes out. Were the Syrian Greeks worse than the Ptolemies? Although Egypt is famous for its finds of papyri in Greek, as much material was produced in Demotic in this period. Much of the work of the bureaucracy was bilingual. The Egyptian literary tradition flourished, and Demotic documents recorded bureaucratic and legal activity. Business and everyday transactions were still effected in the Egyptian language by Egyptians at all levels of society. If Greek was imposed in Syria as the official language of the conquered territories and, for example, slave sale documents were issued only in Greek after 275 BC, the Seleucid kings made little attempt to enforce the law and the Greek Syrian kingdom continued to allow local languages to be used in official documents. A Jew named Jesus, who had adopted the Greek name, Jason, became the high priest in Jerusalem, about 173 BC, representing those who wanted to introduce Greek culture. He cleared an area in the city and founded a gymnasium, a Greek institution that served both for athletics, which Jews abominated, and as an open club in which educated men could meet for intelligent, and often philosophical discussion, and where books were kept for consultation. The author of 2 Maccabees opposed the Hellenizing faction. The main concern for Jews was the extent to which the adoption of some Greek culture implied religious apostasy. The propagandists for the Maccabees depicted the crisis in Judaea not as one of Hellenizing but one of religious suppression. In this sense, it is possible to speak of a clear distinction between the Hellenized Jews and the traditional ones. The Jewish state successfully gained independence when anti-Hellenizing—Judaizing—Jews, helped by the Hellenized Romans through their Hellenized Egyptian allies, rebelled against their Hellenized rulers. The Romans were simply fomenting dissension to undermine the declining Greek state. A few years later they annexed it. Anti-Greek reaction stimulated the writing of literary propaganda against the Greeks. In Egypt, prophecies of the overthrow of Greek rule were made, including the Oracle of Bocchoris or the Lamb, the Potter’s Oracle , and the Demotic Chronicle. From Persia came the Oracle of Hystaspes . The Jews produced fake Sibylline Oracles , the Book of Daniel and rewrote the scriptures emphasising foreign influences in which the Greeks were disguised as Canaanites and Philistines. This literature itself was a way of kindling hope and venting frustration. It served to inspire the native peoples to active resistance and revolt and fed the apocalyptic religious mood. 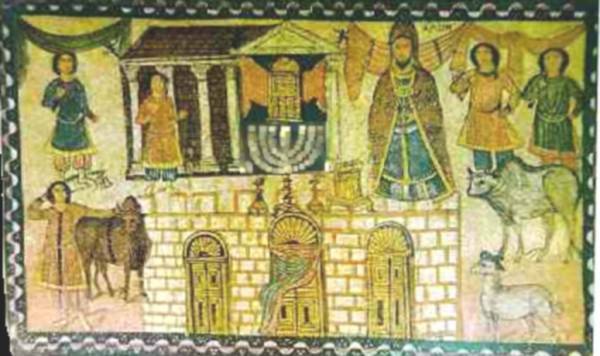 Martin Hengel says talk of Judaism versus Hellenism or of Palestinian versus Hellenistic Judaism is wrong because it reduces a complex society to black and white, and treats a process as if it were static. The criticism doubtless has some truth, but depends on when and what is being referred to. Hellenization was a process, but the stories of the Maccabees and the gospels show that Jews themselves saw themselves as divided into Greeks and Hebrews. It is therefore perfectly valid to use Hellenization to represent this split. Hellenized Jews were therefore “Greeks” and those who resisted Hellenization in favour of traditional ways were “Hebrews.” Some scholars complain about this, as though historians who make these distinctions are somehow anti-Semitic. The stark dichotomy of “Hellenizers” and “Judaizers” of 1 Maccabees has been used too simplistically and thus has caused gross distortion. It assumes a narrow, prejudicial definition of what it means to be a loyal Jew with no allowance made for those of a different opinion. It is as if, to take a modern analogy, the only form of Judaism allowed to be “Jewish” were Orthodox Judaism. This may indeed be the view of some Orthodox Jews, but it is hardly the perspective of Conservative, Reform, Liberal, Karaite, Falasha, and other forms of Judaism. It is not the job of the historian to take sides or adopt the denominational prejudice of the sources. While we can accept the point that matters are never distinctly black or white, Grabbe is effectively saying that historians should ignore their sources in favour of the enlightened ideas of today. Warfare, and particularly civil war, polarizes opinion, and the sources, even if they seem opposite extremes have to be respected unless we have other reasons to think they are propaganda. That is how the historian finds out why history happened. Other scholars tell us we must learn how to think like the people of old, but Grabbe seems to think they should think like him. If Hellenism was a culture and Judaism a religion (in itself a questionable assertion), many aspects of Hellenism were not only irrelevant to the Jewish religion, but could be beneficial to Jews whether in religion or society at large. A Jewish philosopher, Aristobulus, in c 150 BC, claimed that the philosophy of Aristotle and the whole of Greek culture was derived from the scriptures! In 171 BC, Jason was succeeded as high priest by a man whose name “after” was Menelaus. Josephus says that he was Onias, the brother of Onias, showing that these were not blood brothers but members of a brotherhood. These were Essenes or their precursors. Menelaus was depicted as a wicked Jew. He became the instrument of the Pagan king, Antiochus IV Epiphanes, who allegedly persecuted the Jews and suppressed worship of Yehouah. It is absurd. The Seleucids were descendants of one of Alexander’s generals and were cultivated men with the same ambition as Alexander. They wanted Greek as the dominant civilization of their multi-racial subjects, but knew it could be achieved only by peace and good sense. Antiochus particularly wanted peace in Judaea, where normal communications along the major trade routes were made difficult by Jews perpetually rioting and using religious pretexts to justify a perpetual succession of petty but destructive civil wars. Antiochus had ambitions against Egypt which also required security in the rear. Menelaus was a cultivated and highly intelligent Jew who saw that the future was with Greek culture, and that modernization meant the Jews had to change their Persian religion. That attitude won him the sympathy of Antiochus and a measure of support that was soon greatly increased. Menelaus offered Antiochus a large sum of money, which was doubtless welcome to finance his armies. Antiochus was at war with Ptolemaic Egypt, and invaded that country. In 168 BC, a rumour reached Palestine that Antiochus had been defeated and killed. Menelaus was expelled by Jason and his faction, who had been engaged in treasonable intrigues with the Egyptians, in preparation for an Egyptian occupation of Jerusalem. What had really happened was that Antiochus had won what should have been a decisive victory, but had been prevented from following it up by the intervention of an envoy from the Roman Senate, Popillius Laenas, who, in effect, made Egypt a Roman protectorate. As soon as the truth was known, Jason fled and Menelaus was restored to his priestly dignity. Both Hellenizers had large popular followings. The net effect of this was to make Antiochus, who had been humiliated by the Romans and prevented from ending the menace to his kingdom from Egypt, willing to use his army to support Menelaus, who, officially the high priest of the Jews, proceeded to abolish all the innumerable and vulgar regulations of the law, the superstition about the sabbath, and circumcision. Menelaus was undoubtedly supported by a sizeable minority of educated Jews, many of whom engaged surgeons to uncircumcize them, the operation hitherto being nothing more than a nick in the foreskin. A member of the family of Hasmonaeus murdered a priest who was about to perform a sacrifice in accordance with the new rule, and fled to the wilderness, where he organized gangs of bandits who flourished by raiding towns, slaying wealthy educated Jews, and grabbing their property. They won the support of the Aramaic speaking classes. Antiochus’s governor, Lysias, underestimated the difficulty and made ineffectual attempts to suppress them, which Jewish writers magnified into great victories for Yehouah’s resistance. These Hasmonaeans, now more commonly known as Maccabees from the epithet given them, derived from an Aramaic word meaning “hammer”, were terrorists. Antiochus was now prepared to give Menelaus full support, and would have prevailed against the Maccabees, despite their Roman support, with his army still organized with Macedonian tactics and discipline. But he had to protect his eastern borders against the Parthians, and died, either poisoned or from a chronic fever at Gabae in Afghanistan. Lysias, Antiochus’s governor of Syria, compromised and gave the terrorists an amnesty. The Hasmonaeans were admitted to the city and the traditional rites of Yehouah restored. The Hasmonaeans used their new position for aggression on the Hellenizing faction everywhere. Lysias saw his error and acted. He mobilized his army, occupied Jerusalem and other cities, and restored order. Lurid accounts of the thousands and thousands of martyrs slain by the Greeks were published, but the Jewish rebels were again saved. Antiochus’s heir was a boy of ten, who had been left in the care of Lysias, but Antiochus, shortly before his death, discontented with Lysias’s blundering, named one his friends, Philip, the regent for the boy and governor of Syria. The boy’s uncle, Demetrius, also claimed the throne with Roman support, thus initiating a series of civil wars that weakened the Seleucid Empire and led to its downfall, as the Romans had planned. The news of Philip’s advent reached Lysias in Jerusalem and, in a panic, he negotiated another compromise with the Hasmonaeans, sacrificing even Menelaus. The Hasmonaeans profited from the weakening of the Seleucid Empire to make their country independent, ruled Judaea, and occupied themselves with wars of aggression against their neighbours to increase the territory under their rule. Yet they soon proved that they too were Hellenizing opportunists, and assumed Greek names, from Hyrcanus and Aristobulus to the last of the line, Antiochus. They soon offended the puritans, the Hasidim, who split into Pharisees and Essenes. The Hellenizing Sadducees, accepted the five Mosaic books only, and were granted the priesthood. The Essenes withdrew to the desert in disgust. Surviving Hellenizers either escaped from Judaea or became Sadducees. We do not need to be told that all Jews were not opposed to all aspects of Hellenistic culture. The various Jewish revolutions were obviously not supported unquestioningly by all Jews, but the ones who did not give unquestioning support would have been classified by the Hebrews as “Greeks”. The “anti-Greek” forces which followed on the Maccabean crisis did not try to erase the Greek influence of the previous century and a half, and Jewish Palestine even as it gained independence under the Hasmoneans remained a part of the Hellenistic world. Even gaining independence from Greek rule did not necessarily mean the overthrow of Hellenistic culture or the rooting out of all Greek elements or influences. The Maccabees and their supporters supposedly reacted against the colonial powers because of oppression, yet retained much of the foreign culture that had become their normal way of life. The Hasmonean state threw off the Seleucid yoke but did not eliminate Greek culture from Judaea. Judaea under Hasmonean rule was typical of Hellenistic kingdoms. Indeed the Macabees caused distress to their supporters by openly allying with Rome and refusing to turn the priesthood over to the Zadokites. Philo Judaeus (c 20 BC-c 50 AD) was a well-educated and learned man, versed in Greek literature and philosophy, a model of a Hellenized Jew, those he described as the “letzim”. He knew only the Septuagint . Wherever Philo wrote Jesus, the name is dishonestly changed to Joshua, to prevent Christian sheep from wondering about their Old Testament . Philo admits that the tale in the Old Testament about an armed conquest of Palestine led by Jesus or Joshua is preposterous. Philo affirmed that the Divine Plan arranges the rise and fall of nations “to the end that the whole of our world should be as a single state, enjoying that best of constitutions, democracy”. Truth is something that can and must be objectively determined—the opposite of lying, facts not fancies, reality not illusion. Truth for Philo is not what is, but what ought to be—it is what Yehouah commanded in the scriptures. It is the Jewish religion, as he understands it, after revising it with allegorical interpretations. It is faith and therefore irrational—the “truth of unreason”, as Bertrand Russell described faith in religions. Rational and objective truth is the antithesis of faith. The Jewish scriptures are fictions about a monstrous God giving human wimps the third degree, alternately bullying them into fear, then comforting them with love—scaring then soothing cissies unable to face the real world. Philo was not interested in truth as the Greeks and all rational men conceive it. Philo tried to equate his religion to Stoicism, but no Stoic would ever have countenanced his faith in the “truth of unreason”. Philo even adapted to his religion the famous Stoic paradox that the vast majority of men are slaves, since they are enslaved by their desire for such things as pleasure, wealth, or glory, and that only a wise man (the Stoic sage) is free, because, even if he is in chains and being tortured, he retains command of his own mind and his moral integrity. Philo substitutes righteousness for Stoic wisdom. Judaism in the first century was not a unified set of doctrines, but included many groups of Jews who were heretics according to the standards of the others. The real centre of Jewish power was not in Alexandria or Judaea, but in Babylon, reflecting the invention of Judaism by the Persians. The wealthy Jews of Babylon in the fifth century BC had never thought of emigrating to Judaea, and their opulent descendants later continued to flourish in the city. Except for a brief time, Babylon was outside the borders of the Graeco-Roman world, increasingly centered in Rome. By the time of the events of the gospels, it is plain that there were Jews who welcomed the Roman invaders and others who resented them. Collaborators were called “publicans and sinners”, Hellenized apostates were called “Greeks” and pious Jews were called “Hebrews”, though all were Jews. Were the “Hebrews” correct to regard all Hellenized Jews as apostates? Again, “Hellenized Jews” means here the ones that the traditional Jews opposed, and that is what is important for understanding the Jewish rebellions. Many of the militant Jews had Greek names, so were already participants in one aspect of Hellenization, but they were concerned that, if it went too far, even the remnant might disappear. The militants were themselves diverse, including the Hasidim, the Maccabees, the partisans of Onias, the Essenes, the Galilaeans and, evidently, the Nazarenes. Hellenizers were doubtless equally diverse and certainly included the Sadducees and Herodians. Philo of Alexandria was a Hellenized Jew that considered himself to be doing the world a service by uniting Greek and Jewish ccultures. The Jason who became high priest ( 2 Macc 4:13); considered himself a full and faithful Jew, but obtained permission for Jerusalem to become a Greek foundation. Grabbe says that because “some Jews may have judged him an apostate is irrelevant to the question of his own self designation or Jewish identity”. Too true, but the relevant point is that Jason was thought by his opponents to have been an apostate and evidently the Sadducees that followed him were all thought of in the same way, even though they were administering the temple! It was the cause of the war as far as the Maccabees were concerned. What is more to the point, by the time of the gospel events, is to what extent were Hellenized Jews considered as apostates by the “Hebrews?” Grabbe insists that “in accommodating to Hellenistic culture the Jews always maintained one area which could not be compromised without affecting their Judaism, that of religion”, yet, if Hellenization is a process, it must have at one extreme the purely Greek culture, religion and all. Palestinian Jews must have had good reason for concern when they saw their temple taken over by Greeks. It was only a question of time before Yehouah became Zeus, and surely that is the point about the “Abomination of Desolation”. It is simplistic to say that “Jews were unique and did not lose their identity”. The early success of Christianity was surely precisely because it appealed to those Hellenized Jews that were crossing the boundary from Judaism. Jews seemed only to mix with gentiles for commercial reasons and even these were restricted by the purity laws. The pious Jew could not dine at the table of a gentile or receive a gentile as a dinner guest. They were not allowed to visit the theatre, the circus, the gymnasium or even to read a non-Jewish book, except at twilight, when it was obviously not easy to do. As the Persian administrators, like Ezra, following the Persian precedent had presecribed, mixed marriages were forbidden and were severely penalized. They sound so strict as to have been Essenes rather than typical Jews, and it is true that we know the Essenes had strict rules for managing the relations between their members and gentiles. Diaspora Jews lived apart, in separate quarters grouped around their synagogues. The synagogue is described by Philo as a great centre of religious teaching, and there were many of them in Egypt. What is remarkable, and never commented on by Christian ot Jewish commentators, is that Philo, writing about the Essenes, refers to a “sacred spot” called a “synagogue” that he describes as “their name” for “their institution!” For the prayer houses of the Therapeutae Philo uses the word “semneion” and in other cases, words like “proseuche” were used, but—muddying the water as ever—Christian and Jewish translators have rendered this quite different word also as “synagogue”. If we are to believe Philo, then, the synagogue was not any place where Jews met, but a place organized by Essenes for Jews to meet. If, “Jews alone in the Greco-Roman world refused honor to gods, shrines, and cults other than their own”, they were only a subset of Jews—the Jews who refused to be Hellenized in matters of religion because they had simple but specific rules against it and overseers to impose them. Grabbe says the majority would not cross the final barrier from Judaism and says we know only a handful of examples from antiquity in which Jews abandoned their Judaism. Can he tell us how many examples we should expect? And what of the chances that Jewish congregations absorbed Hellenization? Archaeological excavations have shown that opulent synagogues in Asia outside Judaea took their orthodoxy lightly, ignoring even the injunction about not worshipping other deities before Yehouah. If Greek gods were not worshipped in those synagogues, and there is at least one example of a prayer to Helios, composed in Greek but written in the Hebrew alphabet, they were at least sufficiently venerated to be given iconic representation. Everyone was astonished when the excavations at Dura-Europos reached the remains of a monumental third century AD synagogue in which at least two Greek deities were portrayed on the walls. More recently and more astonishingly, a synagogue built, regardless of cost, in the fourth century AD at Tiberias, on the western shore of the Sea of Galilee and hence in Judaea itself, had a finely-wrought central mosaic, in which Helios is encircled by the zodiac, with its constellations represented by the customary figures. Three of the four corners of the mosaic are preserved. In one corner is the head of a woman wearing a radiant crown, a goddess, holding a sickle. In the opposite corner a maiden with the white headdress of a virgin is pouring water from an ewer. In the third corner, a woman, perhaps garlanded, seems to be holding up a bowl of some fruit. Each figure is identified by a word in an alphabet similar to Hebrew. Undoubtedly proselytizing went on in synagogues, but there is no suggestion that Essenes refused to accept non-Jews, despite their exclusivity. Synagogues attracted god-fearers, and, if potential converts agreed to accept the law and the Essenic special rules, then they were admitted to the order. One of the four castes of the Essenes was that of proselyte. This admits of the possibility of diaspora synagogues melting into a Hellenistic form of Judaism. Surely that is what we read in the letters of Paul and is the way Christianity began. Millions of diaspora Jews eventually abandoned their old religion to fit into the Roman world. Many of them were called Christians. Because they had been caught up in the process of Hellenization and had gone beyond the point of return, they can have thought of it as no big deal. It would have seemed as natural, banal and unnoteworthy as abandoning Christianity has been to the 90 per cent of secular Britons and many Americans today. By Dr M D Magee. πολύ καλό το άρθρο ΑΛΚΜΑΝ,παρουσιάζεται μια άγνωστη για το ευρύ κοινό πλευρά της ιστορίας:η επίδραση των επιγόνων του μεγάλου Αλεξάνδρου στην Ιουδαία.Πράγματι,μέχρι και στα ρωμαικά χρόνια με την εξάπλωση του ελληνορωμαϊκού πολιτισμού και στους πρώτους χριστιανικούς αιώνες,πολλοί Εβραίοι είχαν εξελληνιστεί.Κυρίως οι Φαρισαίοι και οι Σαδδουκαίοι,από την ανώτερη τάξη είχαν ενστερνιστεί τον ελληνικό τρόπο ζωής.Αν παρατηρήσεις και στον τηλεοπτικό Ιησού απ' την Ναζαρέτ,ένας εκ των Σαδδουκαίων ονομάζεται Νικόδημος.Φυσικά υπήρχαν και άλλες τάξεις κοινωνίκές,οι Εσσαίοι που ζούσαν απομονωμένοι,στα όρη της Νεκράς Θάλασσας αρνούμενοι τον ελληνορωμαικό πολιτισμό κάνοντας ασκητική ζωή,οι Σικάριοι και οι φανατικοί Ζηλωτές,που περίμεναν την έλευση του Μεσσία,και συχνά προχωρούσαν σε εξτρεμιστικές ενέργειες(σαν τους σημερινούς τρομοκράτες).Γενικά το κλίμα ήταν εκρηκτικό,αφού οι Ρωμαίοι χλεύαζαν τους Ιουδαίους που αυτοαποκαλούνταν ο περιούσιος λαός του θεού.Επίσης σε μεγάλη συχνότητα εμφανίζονταν από την κοινωνική τάξη των ζηλωτών, κάποιος προφήτης που θα οδηγούσε στην ανατροπή των Ρωμαίων.Υπολογίζεται ότι στα πρώτα 50 χρόνια μ.Χ. εμφανίστηκαν πάνω από εξήντα προφήτες!! !